Have you ever seen a parked car on your block with a bunch of tickets on the windshield and wondered how much money was owed and why the car wasn’t getting towed? Or perhaps you’ve seen a serial red-light runner terrorizing your part of the neighborhood and wondered if this person has ever been ticketed for speeding (and if they have paid their fines). So have Daniel Schep and neighbor Mark Sussman. Together they created an app called How’s My Driving DC, based on Schep’s very successful Twitter bot bearing the same name. The app, which is currently on beta test, allows you to look up license plates to see if they are in the District of Columbia system. The bot takes advantage of open data to access fine records and can tell you if a car is eligible for towing. Additionally, you can report a standing, parked or moving violation from the app itself– a simplified version of what the DC 311 app offers. Here is a preview of what the app does, as well as an invitation to watch a live demo this coming Wednesday, January 30, at WeWork 80 M Street SE, starting at 6 p.m.
It’s unclear what else I can do with this information when I enter it into the app: How can you get people to pay their fines? For now, the righteous anger alone will have to do. Looking forward to seeing the demo this Wednesday, and to see how this app evolves! I’m also looking forward to seeing the other teams unveil their solutions to everyday problems. 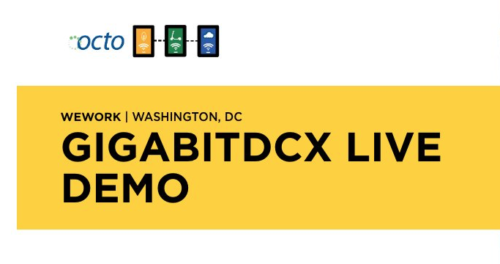 WHEN: Wednesday, January 30, starting at 6 p.m.
WHERE: WeWork, 80 M Street SE. RSVP here.